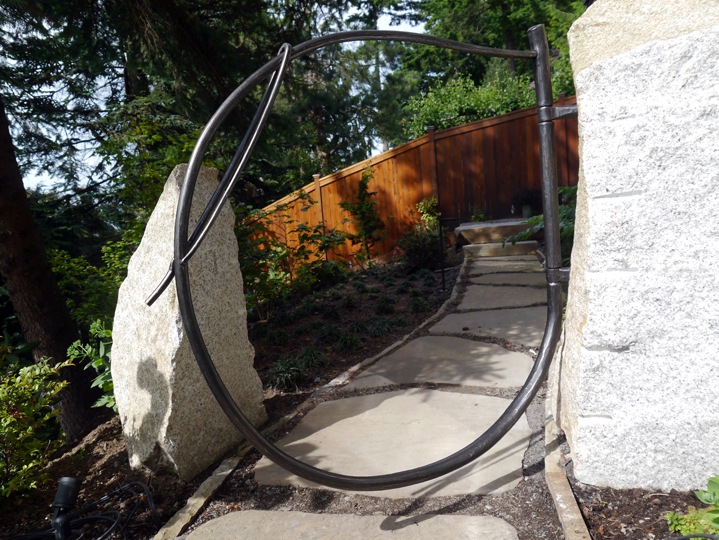 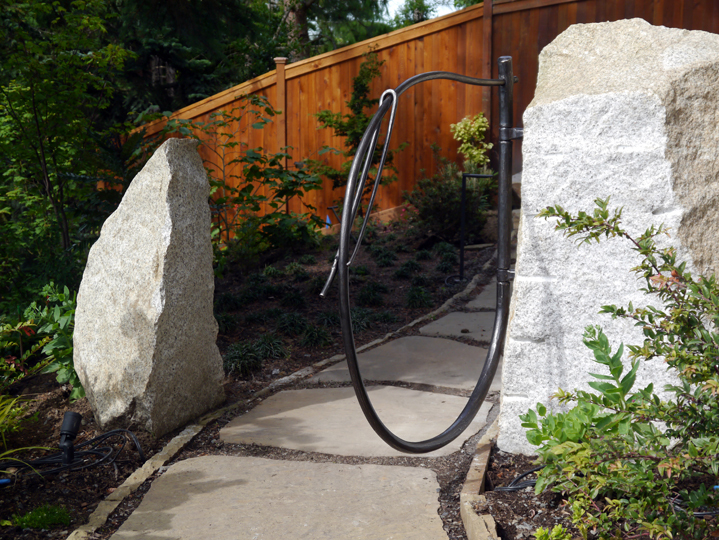 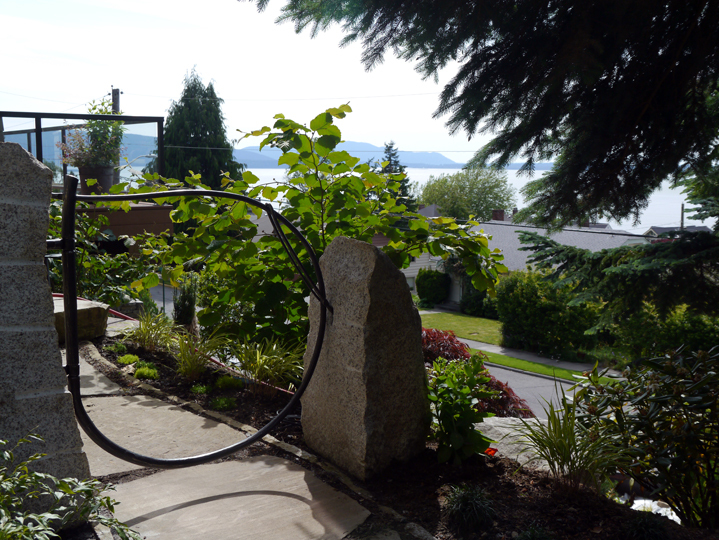 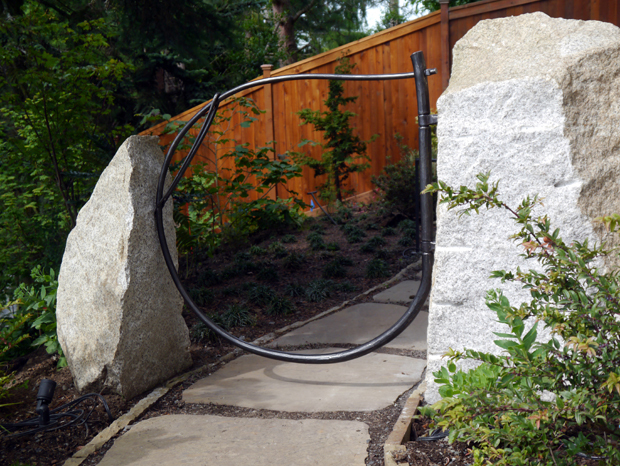 An invitation into the garden, this gate is comprised of essentially two pieces. 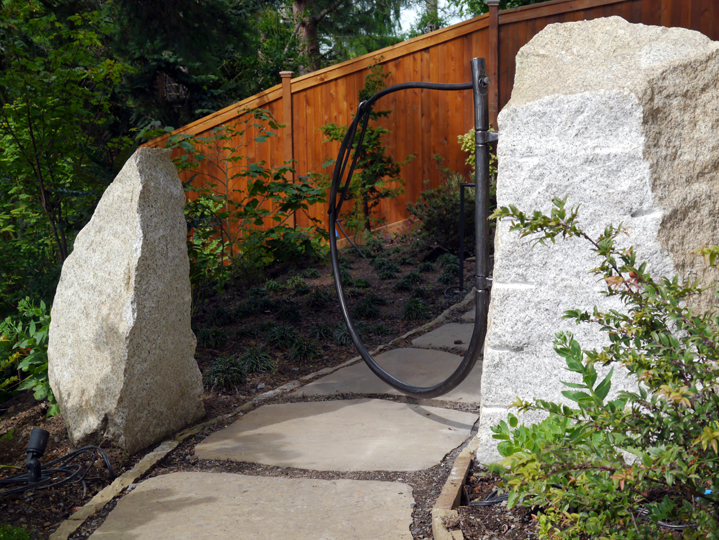 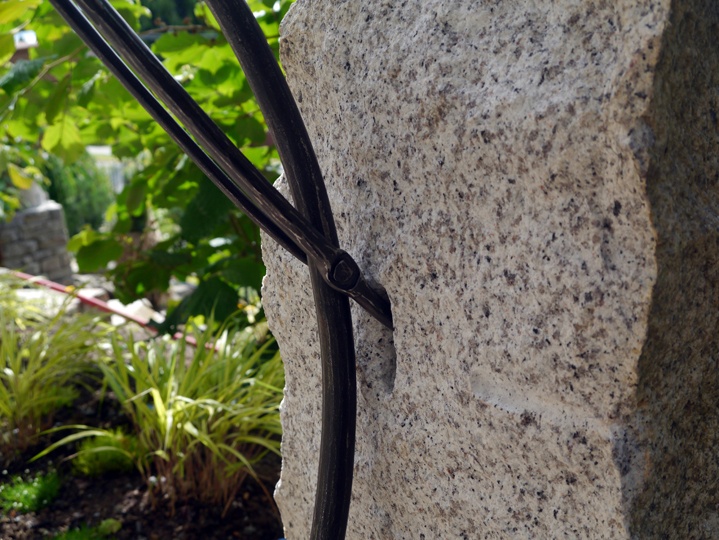 Its minimal design plays with the negative space between the stone posts in a way only metal can. 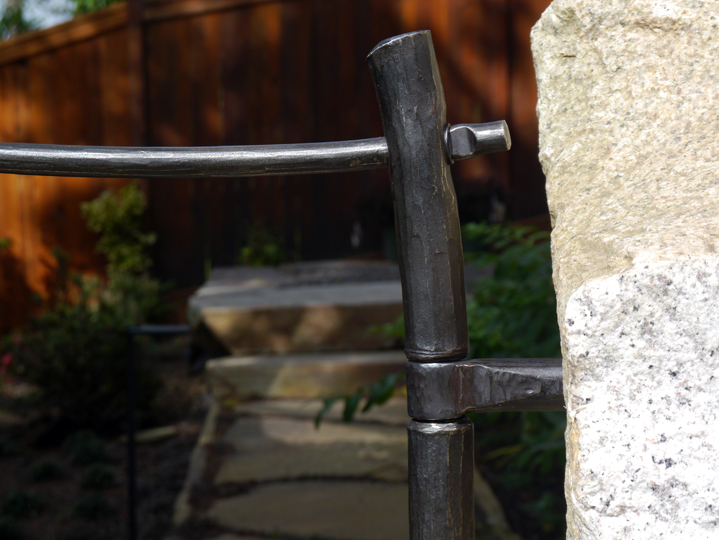 Forged from stainless steel, this work is assembled solely with mechanical joinery for a clean and honest language.